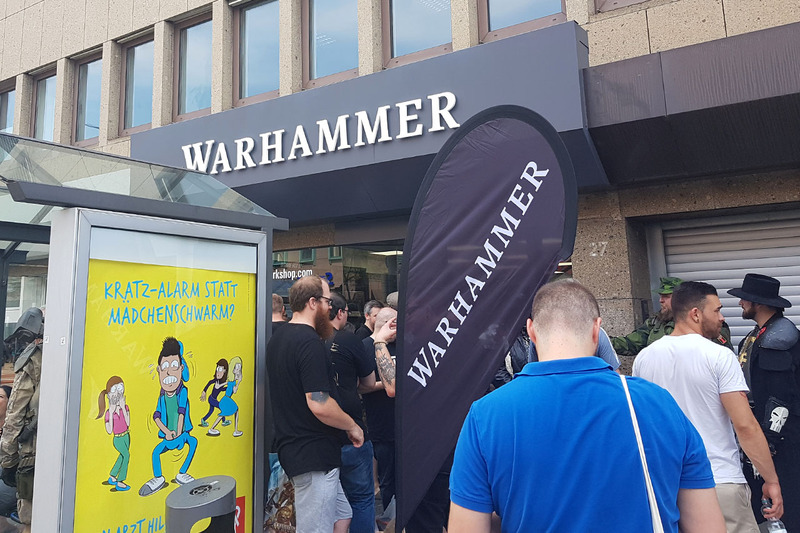 Today, on August 4th, was the store opening of the new Warhammer store in Koblenz, Germany. 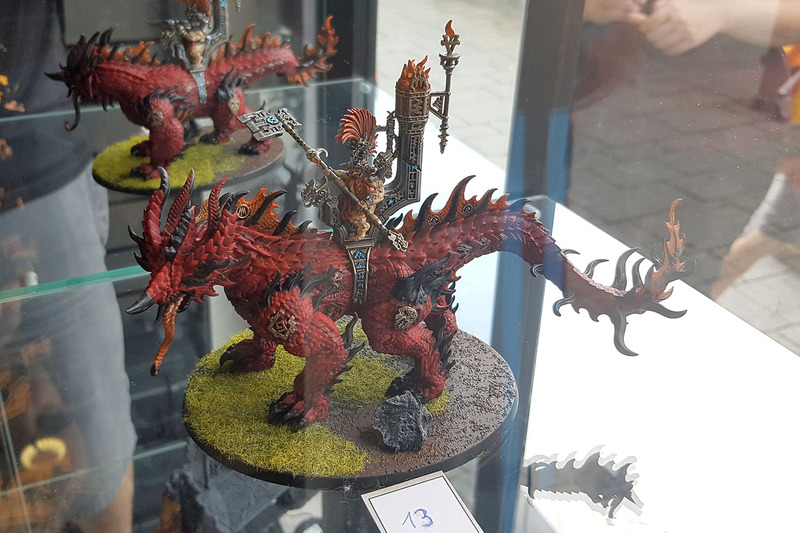 I did a preview to this event two weeks ago, A Warhammer store on my door step. 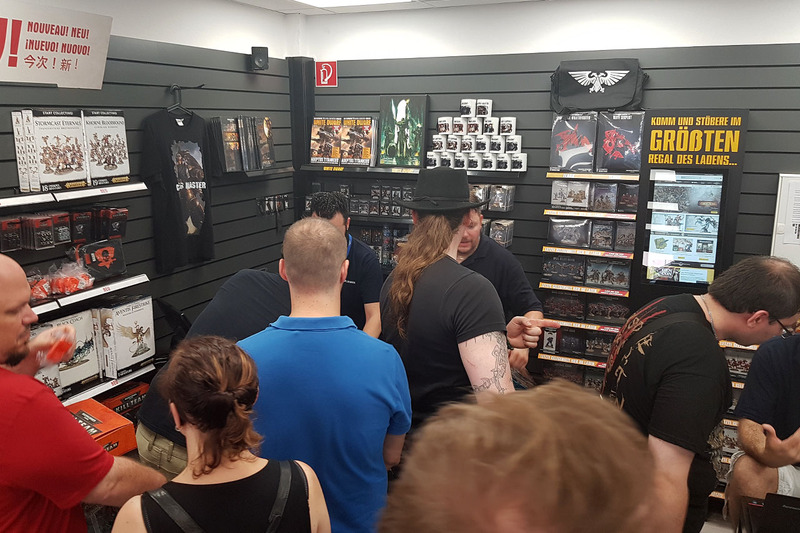 The store is located quite central in the city, right next to the shopping mall Löhr Center, so you can get there quite easily by public transport, train or car. I could have gotten there by foot, back in the day when I lived in Koblenz. 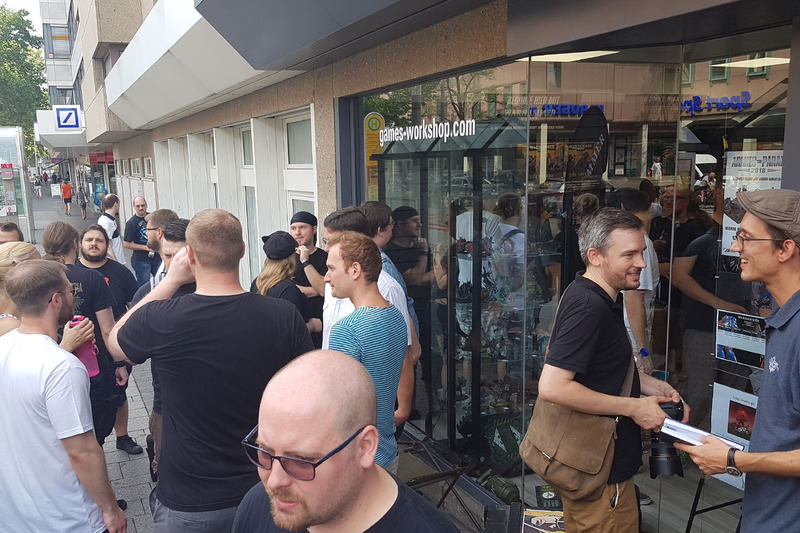 Around 10:45 I arrived at the store and there was already quite a queue, some even had brought along their camping chairs, like on the release events of Apple or other large companies. 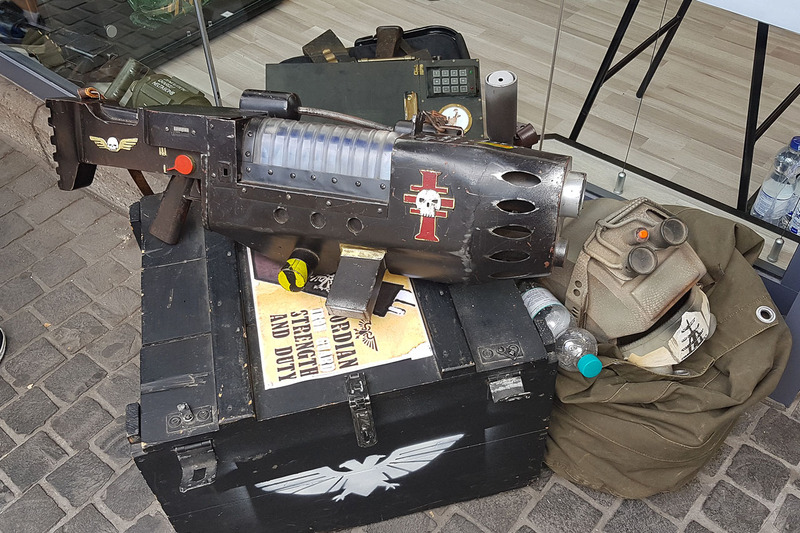 Among the crowd were a couple of cosplayers, resembling the Imperial Guard and troops of the Inquisition. 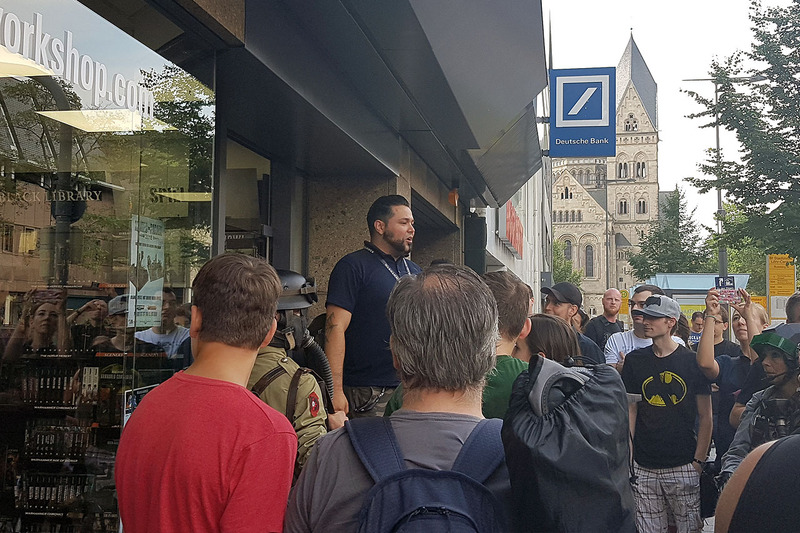 I'm sure you have seen them at events like the RolePlayConvention in Cologne or former Games Days. 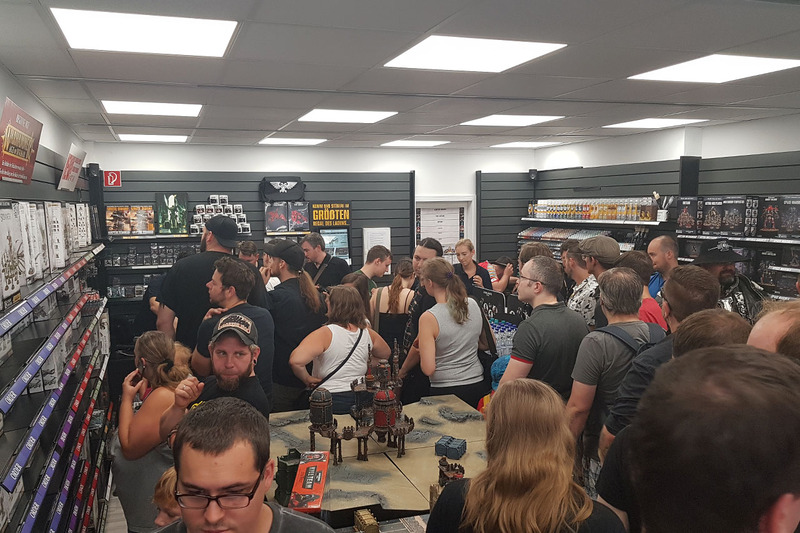 Carlos, the store manager, gave a brief speech just minutes before 11 am, so the hobbyists could enter the newly opened up store under the stern eyes of the Adeptus Militarum. While waiting I met a lot of people from around the area, among them Kevin from the Rhine Toppers, some people from the old Bad Habitz community and a few from the Paintpals. It was nice talking with some likeminded people, talk about the novelties and share current projects we are working on. The store is quite spacious. 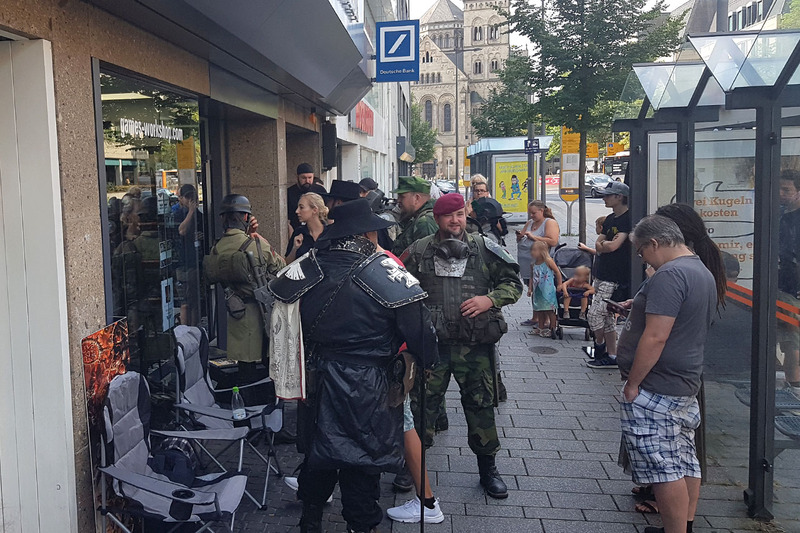 As we had around 35° C outside, and the place was crowded, Games Workshop was prepared and the staff handed out water bottles for the customers. Great move and welcomed cool-off while waiting or browsing the store. They prepared a few gaming tables to be used later that day and even had the paint station ready. Some people already started painting within the first minutes of the opening. 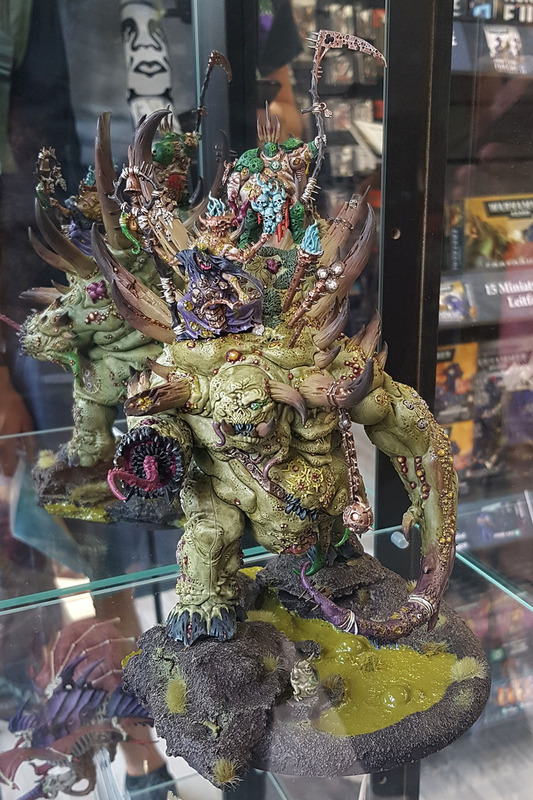 A few newcomers even got their "First painted miniature" pledge within the first hour. 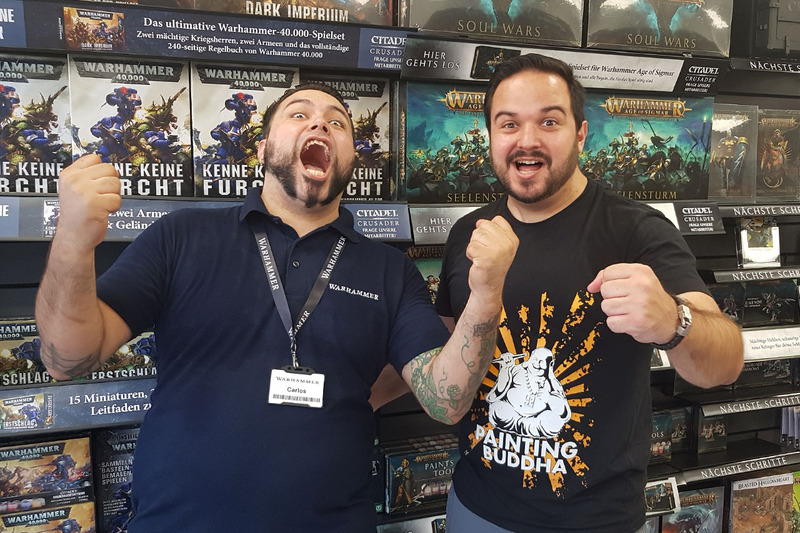 Carlos arranged a painting competition for the store opening, the winners will be announced tomorrow. 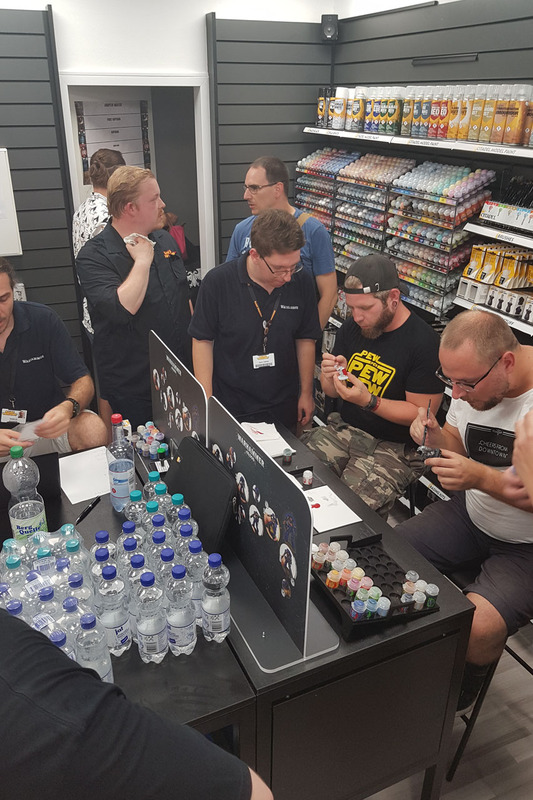 Games Workshop handed out kits for the participants to paint and hand in during the last week before store opening. The winners in the two categories (unit and terrain) receive their kits for free. 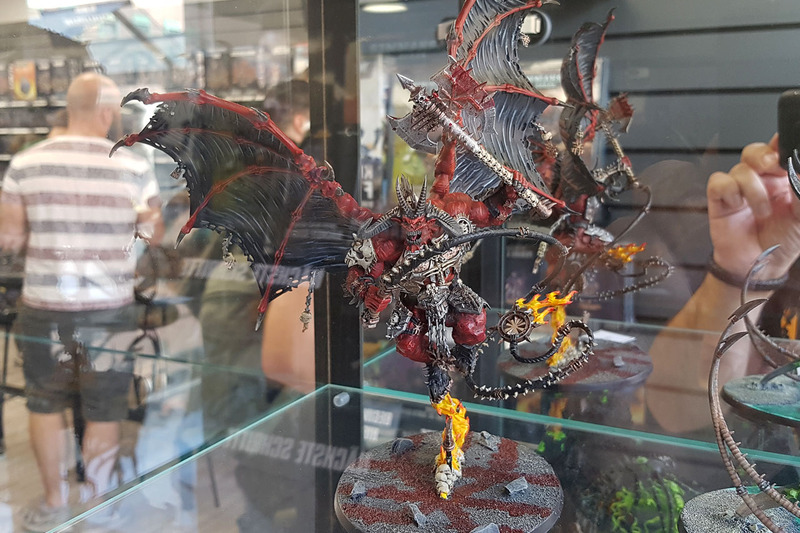 My favorite is Archaon the Everchosen by Daniel from Banana Painting Pirates (you can see the work in progress on his Instagram). 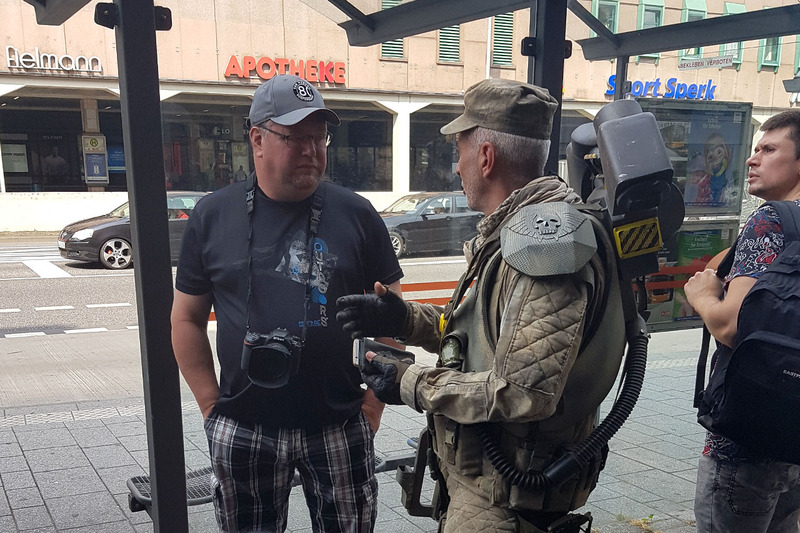 After some initial shopping I went back outside, having further chats with other hobbyists and taking closer looks on the amazing outfits the cosplayers created. 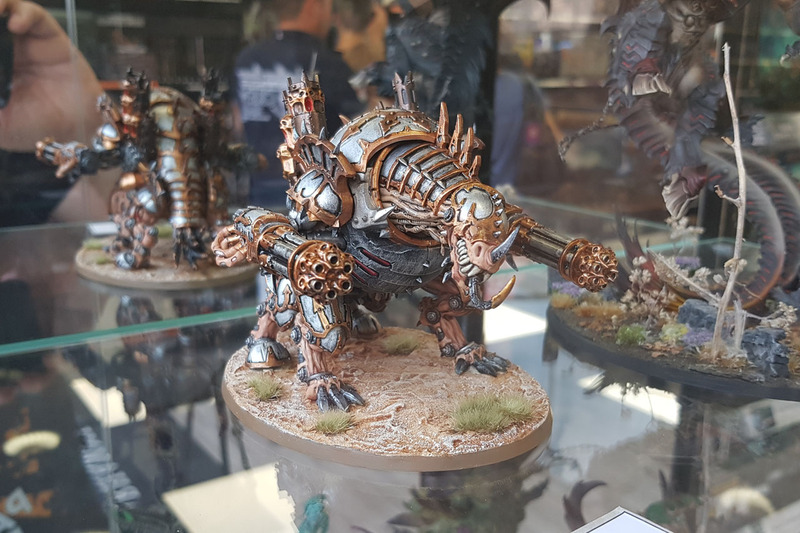 The Elysian Drop Troopers were incredibly well done, as were the Inquisition (if you guys have a link or contact details, let me know, I'll add them to this article). 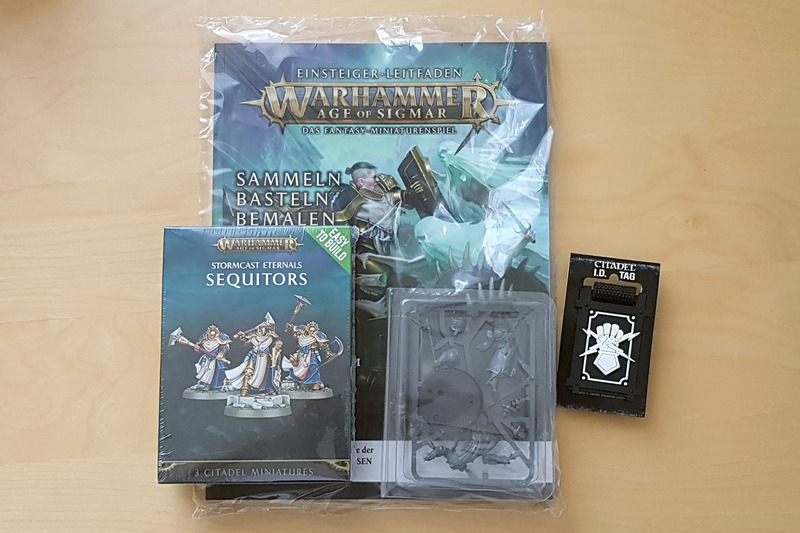 My personal loot from the store opening are the easy-to-build Sequitors, the AoS introduction booklet and a ID-tag with the crusade badge on it. The Sequitor Prime and Knight-Incantor will be converted into Inquisitors for my Inq28 / Necromunda (similar to Kill Team) warbands. 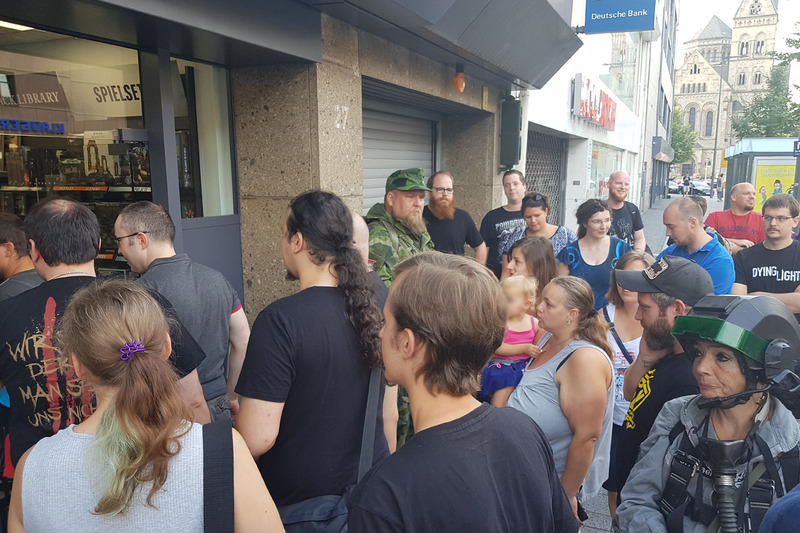 The supply on the limited store opening products was sufficient, from what I heard everybody who wanted theirs, got them. I would have loved to add the art books to my collection, as I'm quite happy with the Apocrypha books (Imperialis and Chaotica) and The Emperor's Will and Might, but at 40 EUR each they were just outside of what I'd pay for them. 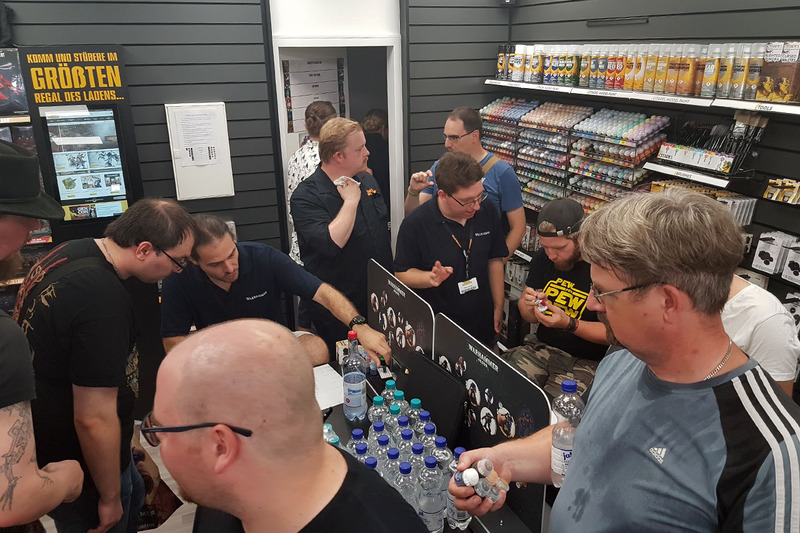 Beside the products limited to the store opening / anniversary, there were unfortunately only participant badges as give aways and sample push-fit miniatures for the painters. 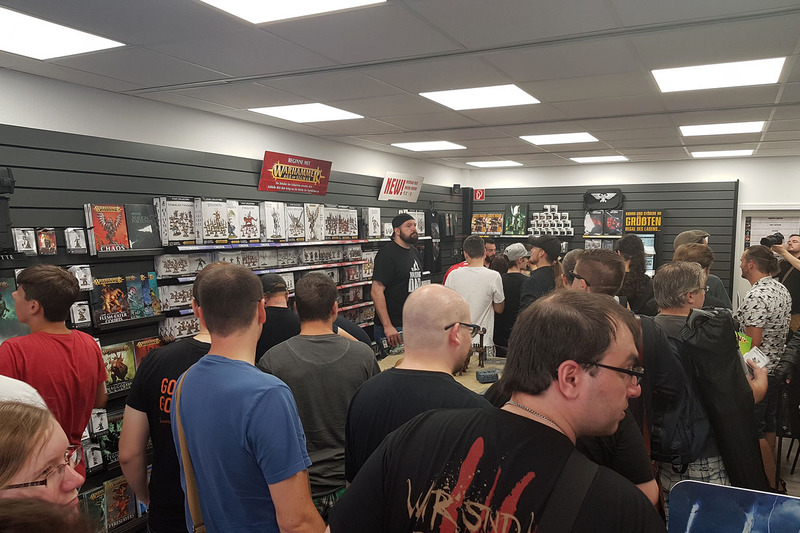 The customers who participated in the Chapter Master challenge (depending on the size of your buyings, you can get listed and the one who spends the most becomes Chapter Master and the next customers get other ranks in decreasing order of their shoppings). It is a nice idea, but something along the lines of the earlier goodies (Imperial Credit coins, pins, pendants) would have made me happier and would be more accessable to the broad audience of the event. But from what I heard at the event, they are still in the early phase of these new opening, so they already have plans to improve them events. Good to hear. 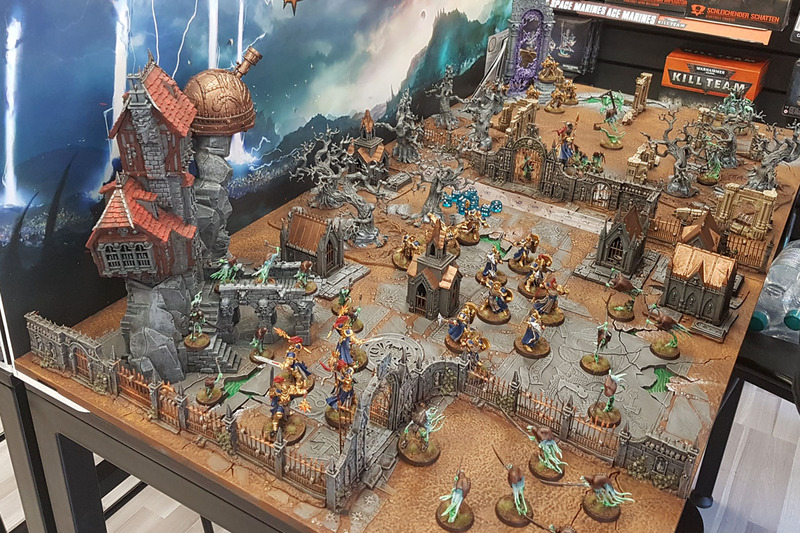 A closing Waaagh! picture with the store manager Carlos. Wish you the best here in Koblenz. 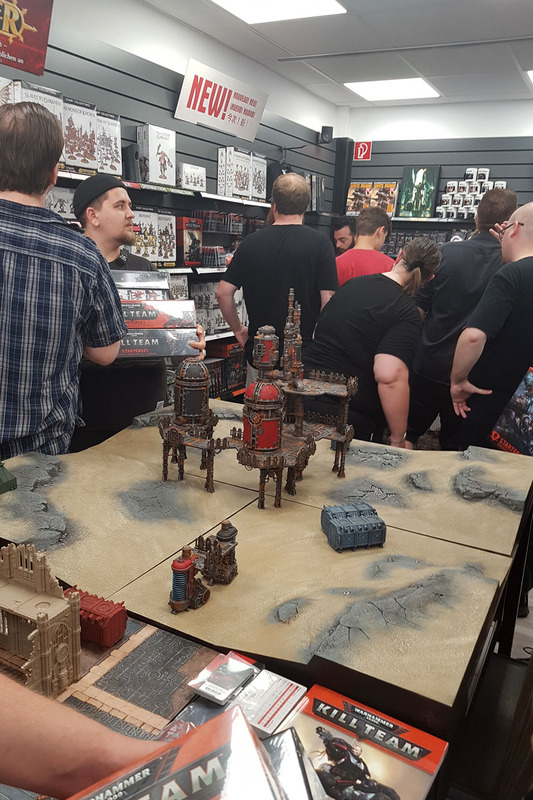 It was am interesting event, met people I already knew but haven't seen in a long time, met new people that are playing in the area, and with a store and their planned longer game nights, there is something that I can imagine to stop by after work. 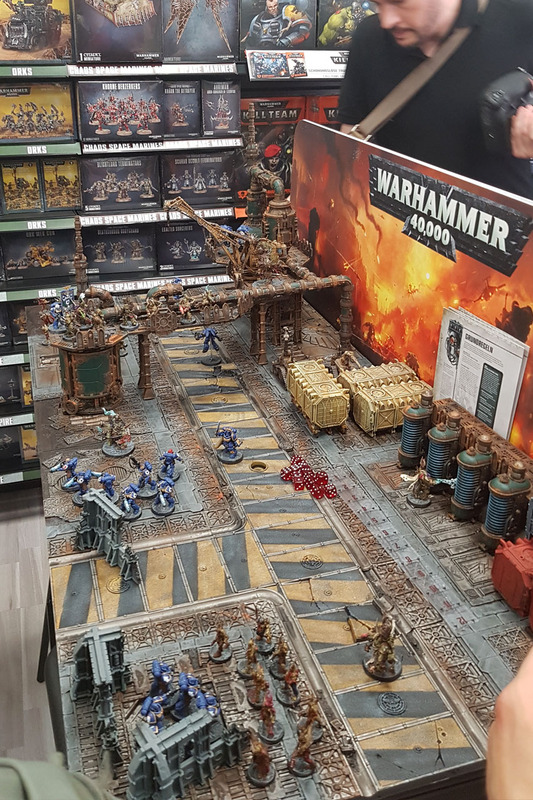 That's it so far from me for today, I'll be heading back to my desk and get back on the next reviews (get ready for some intensive Kill Team terrain coverage!) 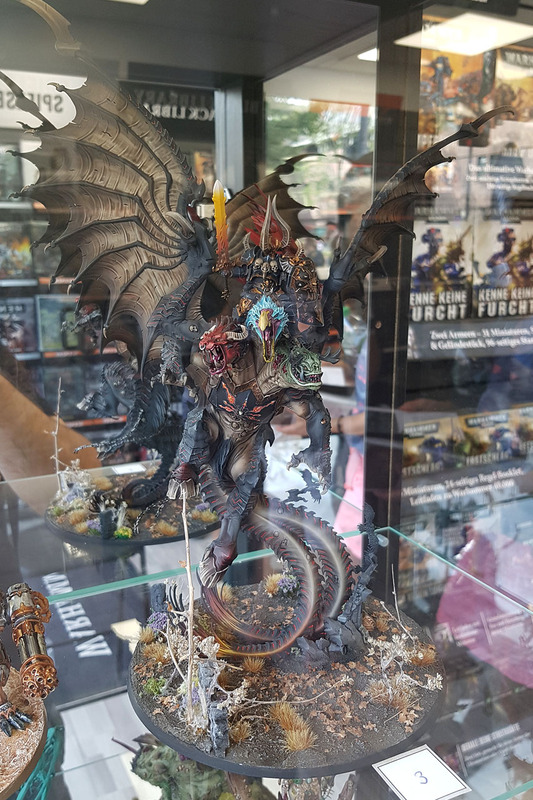 and am looking forward to Warhammer Fest in Düsseldorf in two weeks. Stay hydrated and have an amazing weekend!